Pope Francis's approval ratings have plunged following the cover-up of clerical child abuse in the Catholic church. 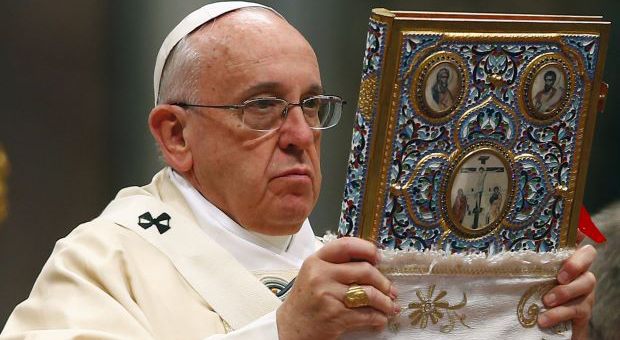 The Pontiff's popularity has also continued to decline all over Europe during 2018. But according to a new analysis, Francis's mediocre approval rating is partly because of his pro-immigration stance and other globalist agendas. 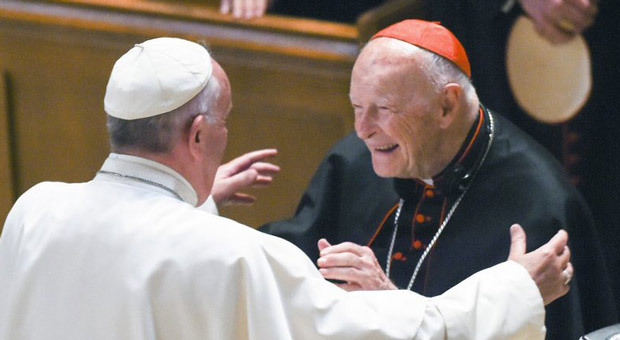 According to the Gallup poll, less than a third of Catholics in the United States rate the honesty and ethical standards of clergy as “very high” or “high,” marking a record low and a significant drop from the previous annual survey. 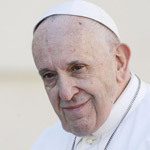 The Pope's popularity plummeted a month German Catholics by a staggering 20 percentage points in one year, noted by analyst Francesco Galietti. 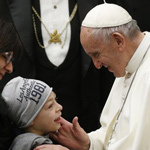 In Italy support for Francis plunged as surveys indicated the pope’s approval rating fell by five percentage points throughout the year, from 77 to 72 percent. What is interesting is both Germany and Italy are both seeing a rise in populism and a kickback on mass immigration pushed by the likes of Angela Merkel. According to Breitbart: Francis’ decreasing popularity in Italy has been offset by an increasing reputation for the reigning populist, Eurosceptic government, and in particular its most charismatic member, interior minister Matteo Salvini. While prelates and Church bodies have taken to demonizing Mr. Salvini for his decision to put an end to Italy’s mass illegal immigration problem, more and more of the Catholic faithful have found themselves more closely joined with Salvini than with their shepherds. One recent poll revealed that fewer than one in five Italians (19 percent) would like the government to reopen the country’s closed ports to migrants, while only 12 percent of those surveyed said that it is the responsibility of individual states in whose territorial waters the migrant ships have arrived to settle the situation. 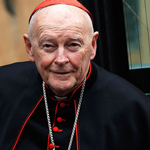 The pope’s marked political character has increased the willingness of Catholics to argue with their pastors, Galietti notes, since the pontiff’s approach to United Nations positions on global warming and global immigration can easily be brushed aside as simple leftist slogans with little if anything to do with the gospel of Jesus Christ. 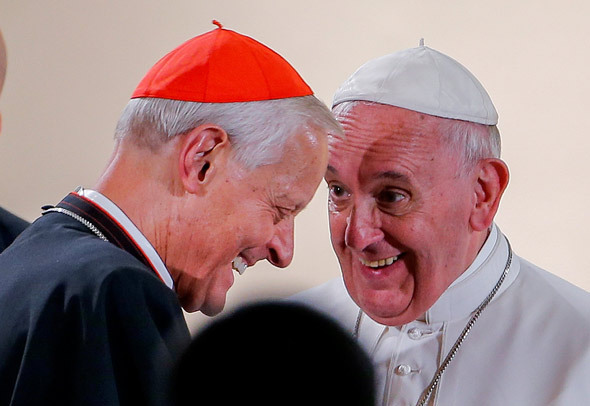 Both in Italy and Germany, Francis has paid the price of his “unqualified open-door policy toward migrants,” Galietti writes, which has produced a “double problem” even among practicing Catholics. On the one hand, it is subject to “excessive vagueness” that seems to ignore the real problems faced by real people, Galietti notes. According to the Catholic Herald: Only 48 percent of Americans have a favorable view of Pope Francis, down from two thirds a year and a half ago, according to polling by CNN. Pope Francis defended “modern multilateral diplomacy” and international institutions against “the resurgence of nationalistic tendencies” in an address at the Vatican. 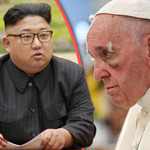 Maybe its time for Francis to start seeing what real people are concerned about, and stop reading from the globalist script.